While the market took a rather significant hit in 2018 (and 2019 so far), there’s still plenty of value to be extracted from this industry as a whole. Now is the time 2018 Bitcoin price lamenters and enthusiasts dreamed of just one year ago. The question is, are you going to miss a one-of-a-kind opportunity this time around? Cue Bitcoin faucets. With Bitcoin at the forefront of market capitalizations in the blockchain market and crypto-sphere, it will be a long time (if ever) that Bitcoin fails to be looked at as the primary actor and core crypto driving the industry. As such, it makes for a ripe opportunity not only for financial investment, but investment of time as well. And, while not every crypto HODL’er is comfortable purchasing Bitcoin and other cryptos from a cryptocurrency exchange or purchasing platform, don’t be deterred. There’s a solution for you. Bitcoin faucets are a simple, free, and straightforward way for crypto enthusiasts and novices to involve themselves in cryptocurrency, all while accumulating their first stack of free BTC. Simply put, they’re an incredibly accessible and great method for crypto newcomers to “whet their blockchain lips,” by getting a glimpse at what it’s like to transact with Bitcoin and manage a wallet. In this short article, we’re going to tackle what Bitcoin faucets are, the five best Bitcoin faucets in today’s blockchain ecosystem, and what to keep an eye out for when choosing one. It’s important to understand that this piece should not be construed as investment advice, and is meant to act as an educational guide for crypto and blockchain novices looking to accumulate their first stack of BTC. The Facts: What are Bitcoin Faucets? Satoshi Quiz – For the Trivia Fiends! Bitcoin faucets are applications and/or websites which generate BTC rewards for users who complete an assortment of gamified micro-tasks. 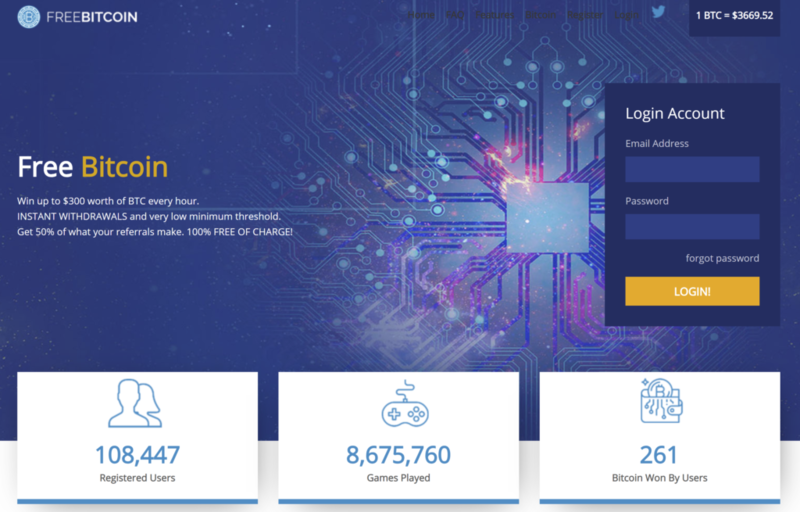 They can be thought of as an automated bounty-hunting platform, whereby users engage in small games or tasks (such as the guessing of a trivia question or filling out a captcha) and are in turn, rewarded with a specific amount of Satoshis (one-hundred-million of a BTC). 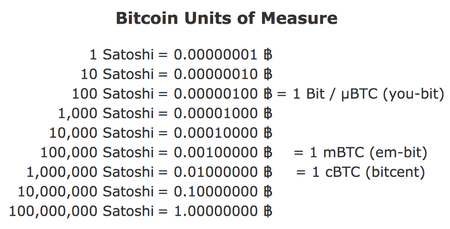 If you’re unsure of what exactly a Satoshi is, check out this chart breaking down a Satoshi’s BTC equivalent. Well, it should be no surprise by now that ad revenue is a core earner for a lot of websites out there. Bitcoin faucets are no different. 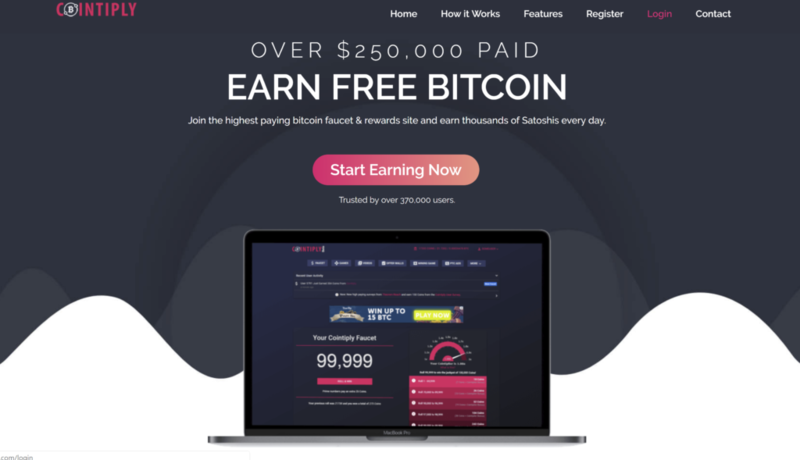 Most Bitcoin faucet websites and applications support countless advertisements (pay-per-click, pay-per-impression, etc…), which ultimately enables them to earn income while giving away free Satoshis at the same time. Before using a free Bitcoin faucet, a user will first need to create their own cryptocurrency wallet or microwallet. Microwallets are simply traditional online Bitcoin wallets, which sanction users to accumulate and hold small amounts of BTC, as some traditional online Bitcoin wallets don’t recognize transactions under a certain threshold. Great! Now that you’ve created your BTC wallet or microwallet, you’ll need to generate a BTC address, which is essential for directing your Bitcoin faucet rewards to. If this is all seeming like a lot right now, don’t stress. Most Bitcoin faucet websites and applications allow users to accumulate a certain amount of Satoshis before ever having to create a wallet. So, while it’s not of the essence, it’s still important to keep in mind. Furthermore, it’s worth keeping a realistic mindset when approaching free Bitcoin faucets, as the payouts are often miniscule, meaning you’ll likely need to accumulate Satoshis and BTC for quite some time before you’re ever able to withdraw it or transfer it (this is partially thanks to transaction fees). Microwallets also generally have a minimum limit of roughly 5,000 to 10,000 Satoshis before a user’s holdings may be transferred to their primary Bitcoin (BTC) wallet. Now, let’s take a look at 5 of the best and highest paying Bitcoin faucets for free Bitcoins and Satoshis! Cointiply is likely at the top of most lists for the best and highest paying Bitcoin faucets out there, due to its consistently large payouts and 350,000+ strong user base. What makes Cointiply an attractive option for crypto newcomers looking to earn free Bitcoins and Satoshis is the chance to win up to 100,000 Satoshis with every spin of the faucet (where each spin generates a specific bonus every time a prime number is rolled). It’s also paid out over 85 BTC since its inception back in early 2018. Additionally, Cointiply offers a wide range of tasks for users to complete, so it’s never a tedious or boring process. For example, Cointiply offers users to opportunity to browse websites and webpages, watch certain videos, or install applications in exchange for a BTC reward. Cointiply users also enjoy a loyalty bonus of 1% per day, up to 100% for every day a user makes a claim on the faucet. Such program helps incentivize usage over an extended amount of time, and is an appealing platform for novice and seasoned crypto holders alike. Mix this in with an enticing referral system, where users stand to earn up to 25% of a referred friend’s earning for life, and Cointiply should be at the top of your list when choosing a high paying and consistent Bitcoin faucet. Finally, as we noted above, Cointiply falls under one of the websites and applications which does not first require users to have a BTC address when signing up, and provides users with the option to later add it when they are looking to cash out and withdraw their BTC. 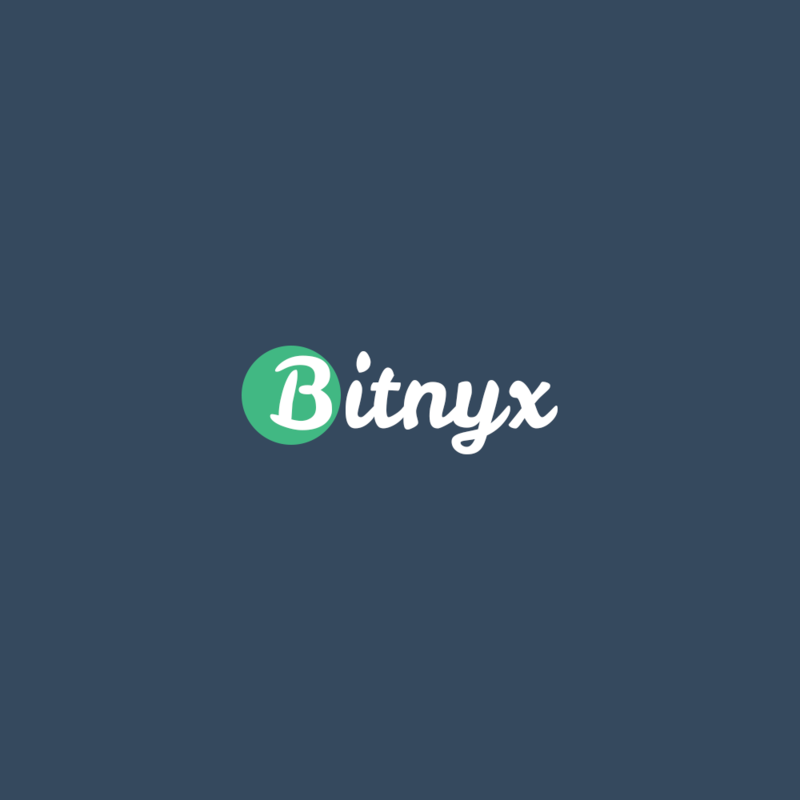 Enabling users to claim up to 0.00000030 BTC every 30 minutes (through the click of a single button), Bitnyx is another popular Bitcoin faucet for users looking to generate high payouts. Specifically, Bitnyx bills itself as the “next generation Bitcoin faucet platform created by crypto-coin enthusiasts,” so rest assured the average user is accounted for. What’s great about Bitnyx is they understand novices and users might be skeptical at first, so they provide a “try before you buy” scheme, whereby users receive free coins to test out via an “experiment transaction.” They also boast a 50% referral commission structure, meaning users receive 50% commission every time a referred user makes a claim on the faucet. And, should a user claim more Satoshis than any other user during the week, they stand to win 0.00100000 BTC, or roughly USD $3.63 at time of publication. During Bitnyx’s tenure, they’ve accumulated over 85,000 users, had over 5 million claims made, dished out over 1.3 Bitcoins, and seen the withdrawal of over .40 of a BTC. They also keep a current table of the top 100 most active users, with the “top dog” having earned .0417 BTC (over USD $145! ), and most active user over the last week having earned 0.00005458 BTC (USD $2). Bitcoin withdrawals can be somewhat of a barrier to entry for crypto novices and enthusiasts looking to get involved with Bitcoin faucets. Well, look no further. FreeBitcoin.io is a great option for users looking for a free Bitcoin faucet with a low withdrawal threshold (USD $1). Most notably, FreeBitcoin.io boasts over 94,000 registered users and has given out a staggering 142 Bitcoin since it began. And, it only launched in June of 2018. So, if you’re looking a high yield and high paying Bitcoin faucet, look no further. Users are also in the running to win up to USD $300 in Bitcoin every hour, creating a lottery feel to the platform. While FreeBitcoin.io doesn’t support as many gamified tasks to complete in return for BTC rewards, it is simple and straightforward – sanctioning users to generate Satoshis with just the roll of a dice. In order for Bitcoin HODL’ers to generate their rewards, all they need to do is click “roll,” and then can expect a payout ranging from USD $.0003 to $300! The platform also offers a generous referral program, on par with Bitnyx, where users receive 50% of the amount their friends earn. It’s worth noting that when signing up with FreeBitcoin.io, their website recommends setting up a Bitcoin wallet with Blockchain.info – one of the biggest and most reputable crypto wallets in all of blockchain. 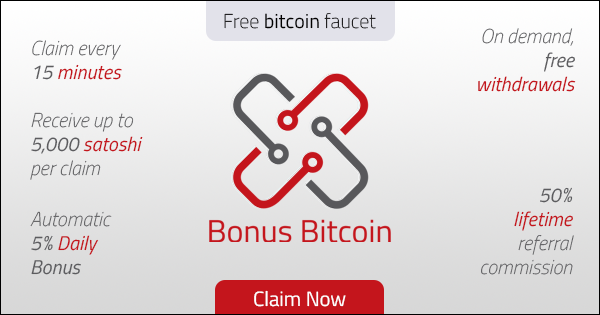 Authorizing users to claim Satoshis every 15 minutes (with a maximum of up to 5,000 Satoshis per claim), Bonus Bitcoin is a completely free Bitcoin faucet for users looking to earn free BTC. So, why’s it called “Bonus Bitcoin?” Simple. At the end of each day, users receive an automatic 5% bonus to their current account balance – as long as you made at least one faucet claim during the previous day. All Bonus Bitcoin payments are made instantly and directly to a user’s CoinPot account – a cryptocurrency microwallet used by countless faucet users. They also run an extremely generous affiliate and referral program, where friends who sign up with your referral link will generate a 50% commission for you based on each claim they make. Bonus Bitcoin’s website notes that they aim to be one of the highest paying Bitcoin faucets out there, and they adjust the payout rates based on a plethora of factors, such as the BTC vs. USD exchange rate. As with most Bitcoin faucets, you’ll need to make sure that your browser does not block advertisements, as this is how they generate revenue and remain open, so make sure you’ve disabled your ad-blocking browser before using Bonus Bitcoin and other popular Bitcoin faucets. Did you grow up religiously watching “Who Wants to Be a Millionaire” and other trivia television shows? If so, this is the Bitcoin faucet for you. True to its name, Satoshi Quiz is a free Bitcoin faucet for users looking to earn BTC rewards for answering trivia questions. In order to prevent users from relying on Google for the answers, all questions are timed, so all you’re armed with is your quick wit and knowledge of every single country’s capital. While Satoshi Quiz isn’t one of the highest paying Bitcoin faucets per “spin” (paying out roughly 100 Satoshis per correctly answered questions), it does theoretically enable the answering of up to 60 questions per hour – for a grand total of 6,000 Satoshis per hour. Finally, Satoshi Quiz processes BTC payments every week (on Sundays), and requires a minimum withdrawal of 11,000 Satoshis. 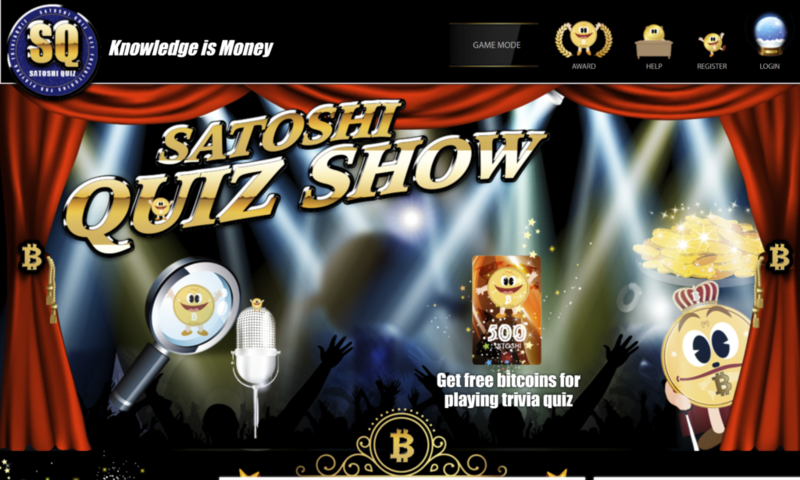 So, if you’re a trivia geek at heart and are looking to earn free BTC for answering gameshow style questions correctly, consider checking out Satoshi Quiz. Due to blockchain’s relative infancy in comparison to other industries, it can oftentimes be daunting and overwhelming for newcomers to sort through all the information out there. And, it can then be even more stressful and difficult to determine the veracity and helpfulness of such information. Take this guide as a starting point for looking into Bitcoin faucets further, and not as doctrine or creed. Ultimately, it’s up to you to conduct proper and thorough research. While it may also take some considerable time to earn and accumulate free Satoshis to transfer out of your microwallet to a traditional online wallet, once you do, we highly recommend moving your Bitcoin holdings to cold storage. Check out a recent piece we wrote breaking down 3 of the best Bitcoin hardware wallets, which includes Trezor, Ledger, and CoolWallet. 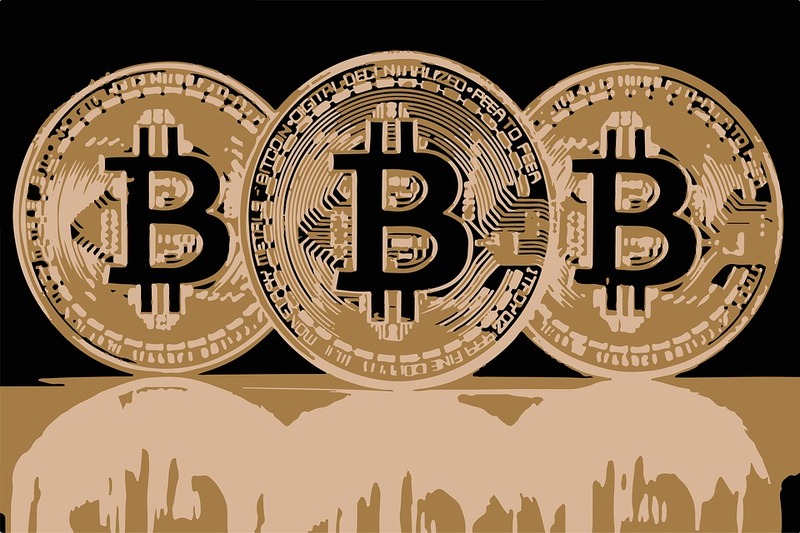 Finally, while Bitcoin faucets are a great starting point for those looking to dive into BTC and cryptocurrencies, as they require no initial capital investment or knowledge of blockchain transactions, they can be time-consuming. So make sure you properly vet a Bitcoin faucet before using it, and determine whether you think it’s yield/payout is worth the time. If you think we forgot any Bitcoin faucets or use a different one that you’ve found to pay out well, let us know!